Last month I signed up for Foodie Pen Pals for the first time. Once you sign up, you are matched with two different people--one is the person who you send a package to and the other is the person you receive a package from. If you’re interested in joining or would just like more details, click below! She did such a great job--we loved everything! 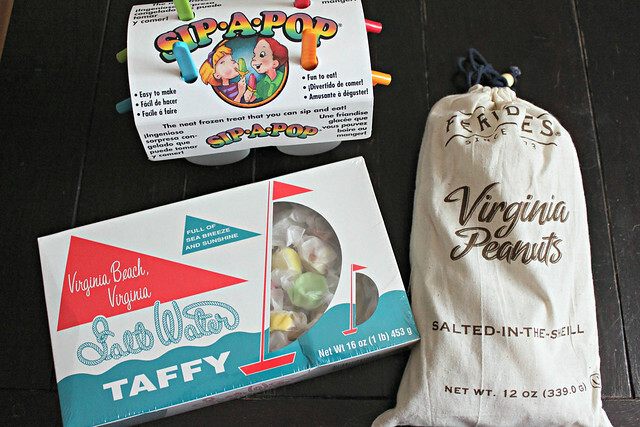 The salt water taffy is delicious, I actually had to hide them from myself to stop eating them! In her note (not pictured), she included a recipe to use with the popsicle molds, and an adorable picture of her, her husband, and her dog, Kenya, running.